Extended Search allow your customers to search in CMS pages and Category pages directly from your website. Tabs are added to the default result page : one for products, one for categories and one for CMS pages. Your website is entirely searchable! 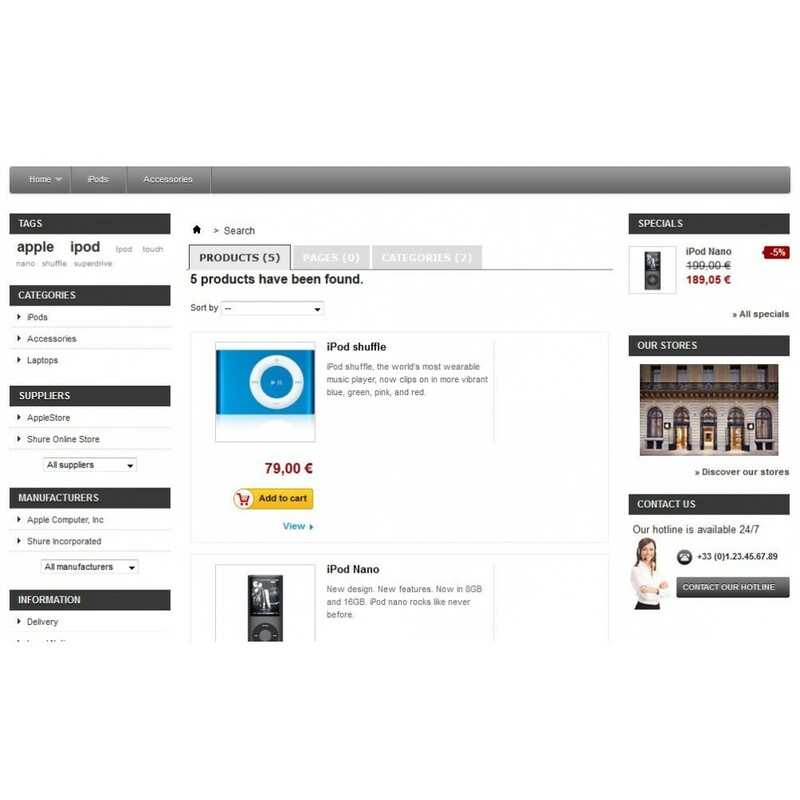 Extended Search allows your customers to search in CMS pages and Category pages directly from your website. Tabs are added to the default result page : one for products, one for categories and one for CMS pages. Your website is entirely searchable!